By Stephen Mallatrat and Susan Hill. Set in the remote town of Crythin Gifford, in the north east of England, Arthur Kipps arrives to settle the estate of a Mrs Alice Drablow of Eel Marsh House. He is bewildered by the refusal of the locals to have anything to do with him. As he sorts through Mrs Drablow's papers, he discovers a history that no-one wants to talk about. What has Mrs Drablow done, and who is the mysterious, ethereal Woman in Black who haunts her house? 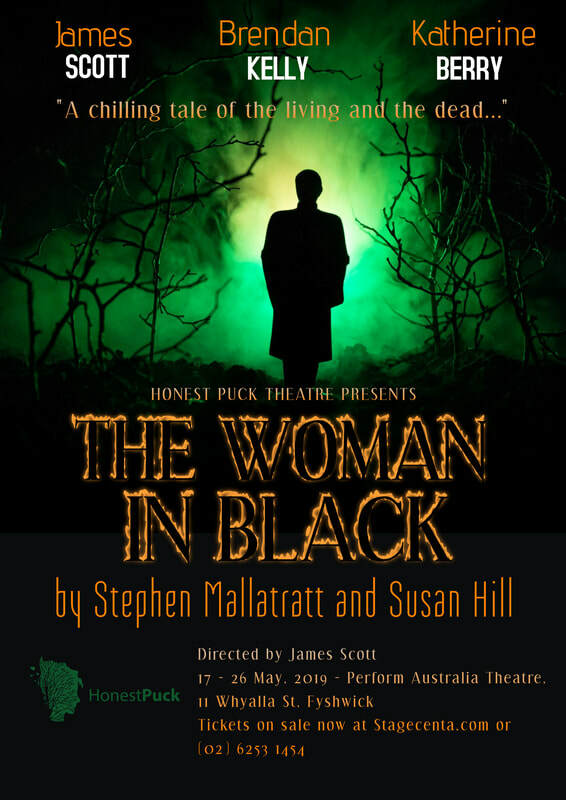 One of the longest-running plays in London, The Woman in Black has been terrifying audiences since 1987. It now comes to the Canberra stage, with Honest Puck favourites. James Scott, Brendan Kelly, and Katherine Berry. Don't miss this spine chilling, psychological horror. Brendan Kelly is an actor, writer, director and producer based in the Australian Capital Territory. He received his training at the Canberra Academy of Dramatic Art, gaining his Advanced Diploma in Performance. Since then he’s been active in the Canberra theatre and film community, even achieving a few accolades for short films written and produced in the ACT, most notably achieving Best Director and Best Screenplay in the Canberra category for his short, Dying Art. Recent projects have included: Dying Art (This Looks Alright Films, 2017); Hyde (This Looks Alright Films, 2018); Henry Five (Honest Puck Theatre, 2016); Care (This Looks Alright Films, 2017). He co-directed Honest Puck's most recent show, Mistakes Were Made. James Scott is an actor, director and teacher. 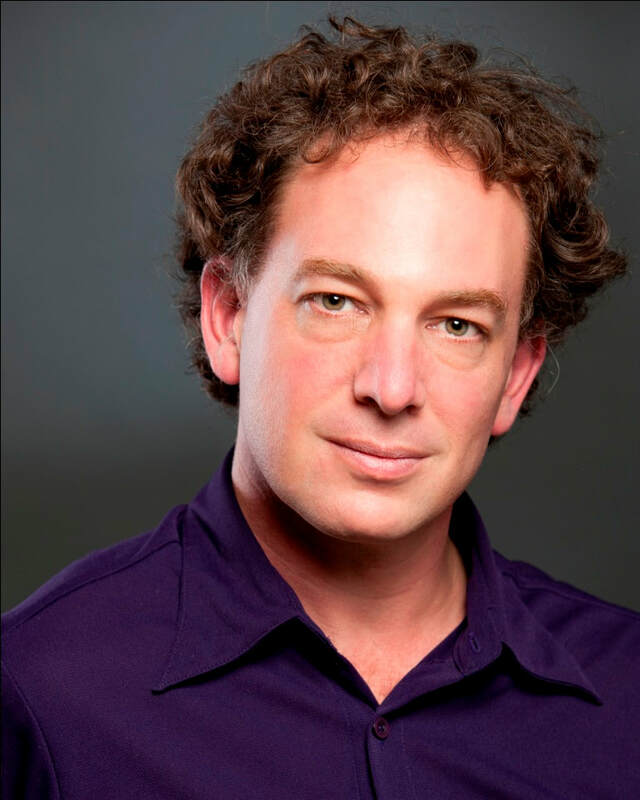 He is co-founder and Director of Artistic Development at Perform Australia. He holds a Diploma of Performance from the Actors' College of Theatre and Television and a Master of Arts Practice in Acting from Charles Sturt University, as well as a Diploma in Vocational Education and Training. James's performance credits include a wide range of stage and screen projects; more recently he has been seen in Lies, Love and Hitler (2010, 2014), The Complete Works of William Shakespeare Abridged (2015, Honest Puck), Underneath the Lintel (2015, Honest Puck), Henry Five (Honest Puck 2016), It's A Wonderful Life: The Live Radio Play (Honest Puck 2017), and Mistakes Were Made (Honest Puck 2018). His recent directing credits include Hamlet. 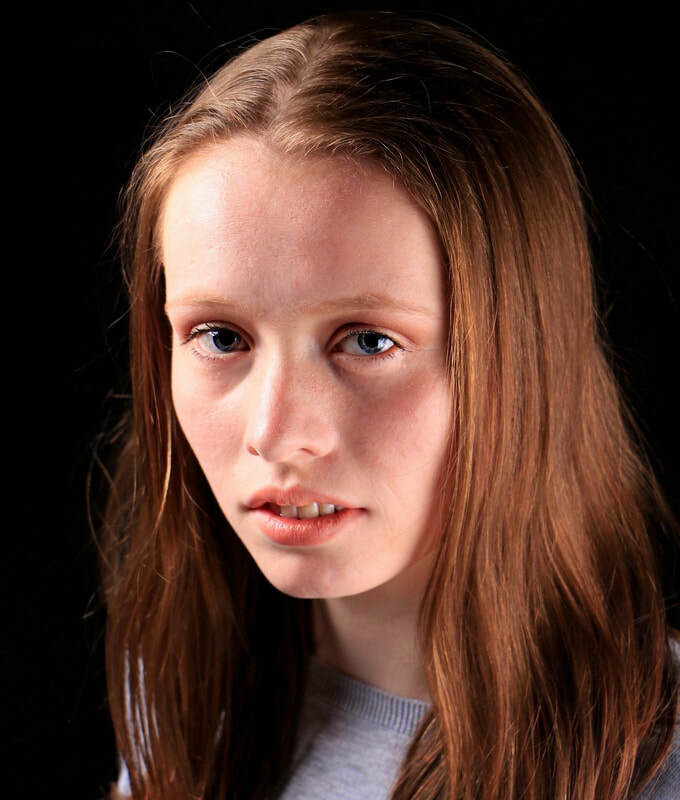 On A Boat, Shrek Jr, Cats Abridged, Getting to Know Cinderella, and Chitty Chitty Bang Bang Jr.
Katherine Berry is a singer/dancer/actor with a Diploma in Musical Theatre from Canberra Academy of Dramatic Art. Her Honest Puck appearances include roles in Henry Five and It's a Wonderful Life.